Leigh Meador moved to Urbana in 2001 to pursue her bachelor’s degree in music, jazz studies, at the University of Illinois. She performed with various musicians and bands in the Champaign-Urbana community and was the first undergraduate student to complete the jazz studies program. She studied with professors Joan Hickey, Chip Stephens, Chip McNeill, Dana Hall and Jim Pugh. Upon graduation she worked as a freelance musician in central Illinois. To continue her musical journey, she moved to New York City to participate in the BMI Jazz Composers’ workshop for three years, under the direction of Jim McNeely. While in New York City she participated in weekly community music workshops including the Jazz Mobile with Alan Palmer. She also worked as a freelance musician in the tri-state area. 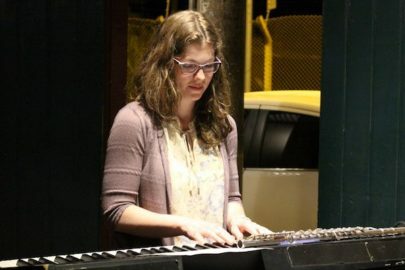 Leigh returned to the University of Illinois to continue studying with professors Joan Hickey, Chip Stephens and Chip McNeill, and completed her Master of Music degree, jazz piano, in 2017. Leigh enjoys teaching music to people of all ages, one-on-one as well as in a group setting. She began teaching piano and flute in 2003.